Saskatoon Health Region in community, geriatric rehab assessment and orthopedics. 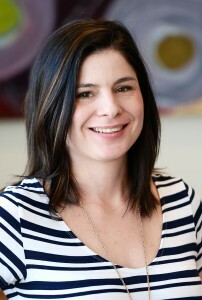 Kendra worked three years in Northern Saskatchewan providing rural community OT services. She has been working in full time private practice since 2010. Practice areas include chronic pain management, mental health practice, community, return to work planning, ergonomics, and functional capacity evaluations. Kendra has a strong interest in mental health and chronic pain management to optimize work-life balance. Professional development courses have focused on functional capacity evaluations, universal design, chronic pain management, wheelchair seating, mindfulness & pain care yoga practices and cognitive interventions.